It does not require a good memory to recall the popularity of PokerStars for American players. The online poker site was responsible for providing the WSOP Main Event winner in 2003 – Chris Moneymaker – and from there grew to be the biggest poker site in the United States following Party Poker´s withdrawal from the US market due to the Unlawful Internet Gaming Enforcement Act (UIGEA) of 2006. Between 2006 and April 2011, PokerStars accepts players from the US (besides from the rest of the world) and is breaking record after record for online poker. The site paid the biggest ever single prize in an online poker tournament when American Tyson Marks won the 2010 World Championship of Online Poker Main Event for $2,278,097, and created the biggest ever online tournament prize pool ($12.4 million) when Canadian Kyle Weir won the PokerStars´ 10th Anniversary Sunday Million for $1,146,574. In April 2011, PokerStars´ United States operations were shut down by the US Attorney´s Office for allegedly violating federal bank fraud and money laundering laws. The site was allowed to re-open temporarily to allow the repayment of players´ bankrolls and, in July 2012, a settlement was reached in which PokerStars acquired the assets of Full Tilt Poker and paid $225 million to the Department of Justice to facilitate the repayment of Full Tilt Poker players. Under the terms of the settlement with the Department of Justice (DoJ), PokerStars were effectively acquitted of all charges against the company and allowed to apply for a US license to provide online poker when a legal framework is (eventually) in place. Meanwhile individual States in the US have been passing laws to regulate Internet gaming in their own jurisdictions, and PokerStars has been particularly active in trying to acquire a licence to provide real money online poker in New Jersey. However New Jersey´s poker regulations stipulate that an online poker site has to operate from a brick and mortar casino located in Atlantic City. PokerStars has been attempting to purchase the Atlantic Club Casino to enable a base for PokerStars in the USA, but has run into all sorts of problems and – at the time of writing – is embroiled in a legal battle to either complete the purchase of the Casino or obtain a refund of the $11 million the company paid as a deposit for the purchase. 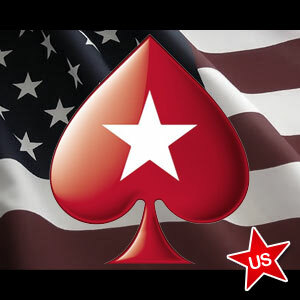 PokerStars´ United States “adventure” (a play on the PokerStars Caribbean Adventure tournament series) is also being hindered by other brick and mortar casinos attempting to prevent them from providing poker players in the US a PokerStars download. In Nevada, pressure from existing casino operators forced State legislators to include a “bad actor” clause in their legislation – barring the company from operating in the State for five years because PokerStars for US players continued after UIGEA and Delaware also passed over a license application from PokerStars without public comment. Good news as PokerStars, the most popular online poker provider in the world, may soon be available to online US poker players. Will the PokerStars United States Adventure Resume in 2019? However, many more States are currently reviewing their legislation there is no doubt that the world´s biggest online poker site will not stay excluded from online poker for very long. California, Illinois, Iowa and Vermont will surely want the world´s biggest online poker site to bolster their tax revenues and ultimately it is inevitable that PokerStars for US players will make a return. Will it be in 2019? We will have to wait and see!